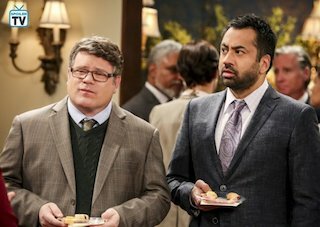 The two clueless physicists who accidently proved Sheldon and Amy’s theory on super-asymmetry are very busy promoting themselves on national television. While they, in fact, conducted the experiment that (inadvertently) confirmed super-asymmetry, they do not even have the slightest idea what super-asymmetry even is. The gang gathers around the TV to watch the two scientists charming the audience on Ellen pretending to have made this groundbreaking discovery. Sheldon and Amy are beyond angry. These two men “stole” their discovery and consequently are about to rob them of their Nobel Prize. When President Siebert notices how quickly the physicists from Chicago are gaining popularity, he decides to organize a reception for his star scientists, Sheldon and Amy. He plans on inviting as many Nobel Laureates (previous winner of the Nobel) as possible, hoping this event will help convince them that Amy and Sheldon are the ones who really deserve to be rewarded with the honor of winning a Nobel. The only problem is that none of them wants to show up for the reception as Sheldon has literally insulted every single one of the Nobel Laureate over the last few years. Surprisingly, Sheldon actually feels bad about the situation. After all, it does not only hurt his chances to win a Nobel but Amy’s as well. She has to face the consequences of his inappropriate behavior even though she hasn’t done anything wrong. Leonard promises to help Sheldon and give him a not-so-subtle sign every time the physicist is about to cross a line due to his lack of people skills. It is because of Leonard and Penny’s persuasiveness that all the Nobel Laureates show up at the reception. However, one of them believed it to be a good idea to also invite the two fraudulent scientists. Sheldon senses a chance to bust the men’s pretense. He starts a highly scientific conversation and hopes the Nobel Laureates will see that the two physicists have no idea what Sheldon is talking about. However, the plan fails and Sheldon is about to explode. Leonard is there to remind him that he should stay calm and keep his mouth shut. And, surprise surprise, Sheldon actually manages to do that. More or less. 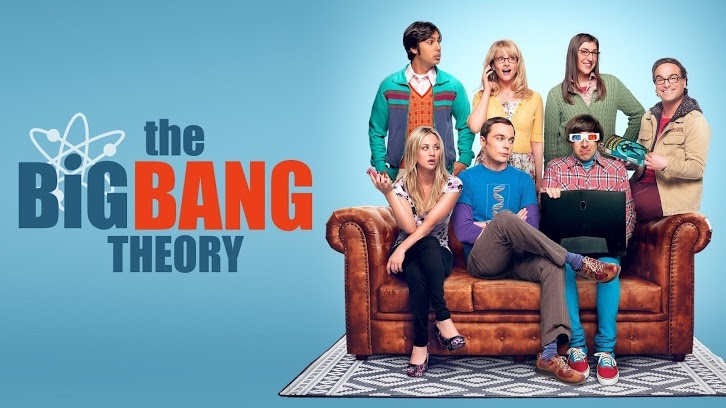 Instead of Sheldon crossing the line, it is Amy who loses it this time and calls the two scientists "imposters". She is beyond fed up! She and Sheldon discovered super-asymmetry! They are the only ones who deserve to be acknowledged for that. You tell them gurl! Howard and Bernadette missed most of the Nobel drama as they have a little situation to deal with themselves. Their daughter Halley realized she is afraid of the dark and therefore it is getting increasingly difficult to put her down at night. Via the baby monitor Bernie hears Howard tell Halley a story of how he has been scared of the dark too back when he was in space. Bernadette likes the story so much she decides to write it down and asks Stuart to draw pictures that go with the story to create a children’s book. Howard is not very delighted when he gets to know about their little project. In fact, he is horrified when he finds out that publishers actually show interest in the book. The story makes him look like a coward. He wants to change the plot, make the little astronaut seem fearless and draw him as more "manly". However, Bernadette tells him if he really is brave he would not have a problem with it when the book gets published. Howard suspects she secretly is Jewish as she has the guilt trip down to a tee. 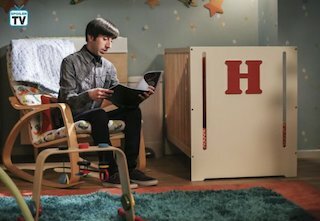 Even though on the surface it looks like just another funny storyline, the issue Howard dealt with in this episode is something many men are facing. They are terrified of not appearing "manly" enough which suggests that men can be victims of a patriarchal society too. How did you like the episode? How do you feel about the fact that the show is ending soon?